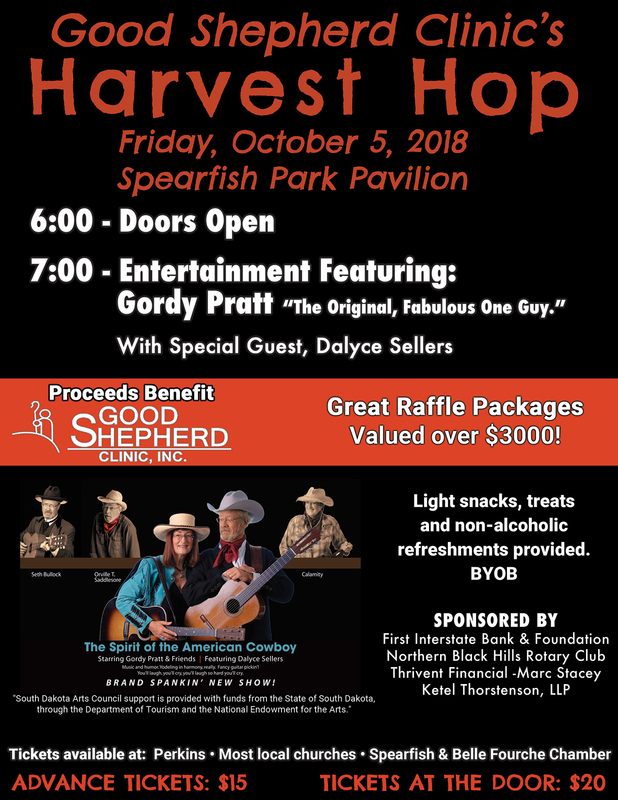 The public is invited to attend the Good Shepherd Clinic, Inc. (GSC) Annual Harvest Hop fundraiser on Friday, October 5 at the Spearfish City Park Pavilion. Doors open at 6:00 p.m., followed with entertainment by Gordy Pratt “The Original, Fabulous One Guy,” and special guest Dalyce Sellers. Ticket Information: Advance tickets are available for $15 at the following locations: Spearfish Chamber of Commerce, Belle Fourche Chamber of Commerce, Perkins, and most local churches. Tickets may also be purchased for $20 at the door on the night of the event.